Pegasus take the Specialist award after a year of strong growth that attracted the attention of UDG Healthcare and an investment in skills that saw client extend their briefs. Brighton-based healthcare specialist Pegasus has continued to fly, but it has also shown it is capable of evolving. In April, the agency was acquired by FTSE 250-listed healthcare outsourcer UDG Healthcare, ending Pegasus’ 24-year existence as an independent company. The deal followed a remarkable period of growth – revenue at the agency rose from £5.8m to £8.9m between 2013 and 2015. Pegasus founder Lisa Bradley took a step back from the business after the acquisition, moving from managing director to chair, with former deputy managing director Simon Hackett taking up the mantle. The agency’s mission to inspire healthy decisions continues, and its team and services have steadily grown – in 2015 the agency had more than 100 employees. Pegasus’ investment in skills has resulted in clients extending their briefs with the agency – and while its heritage remains in influencer relations, a Pegasus campaign is now likely to span digital and content marketing, community-building and TV advertising. Clients have included companies such as Novo Nordisk and GSK to Holland & Barrett and Morrisons. 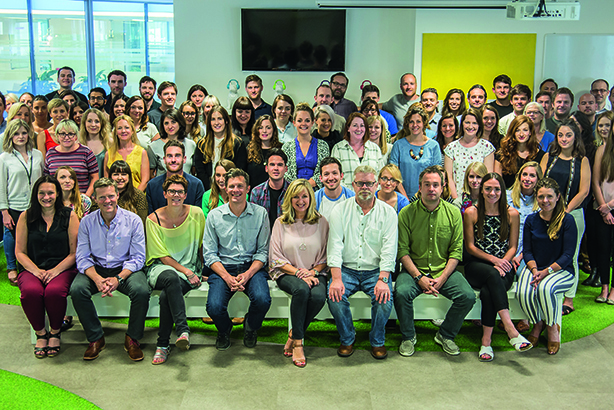 The agency has picked up 15 awards in the past year across a range of sectors and disciplines, and business grew by 39 per cent last year – its most successful 12 months to date.